Our competitive pricing is one of the great things about working with Fuel Card Services, but don’t just take our word for it, as William Walker Transport can testify to that fact. 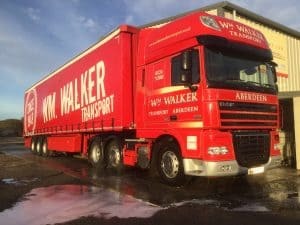 Louise Melvin, director at William Walker Transport, recently got in touch to highlight her satisfaction with the excellent start the company has had to working with us. The company operates a mix of heavy goods vehicles, transit pick-ups and vans as part of its fleet and spends around £18,000 on fuel every month. The shift to using Esso and UK Fuels fuel cards with Fuel Card Services was handled smoothly and gave great confidence to the business. “We have reduced our fuel costs significantly and with the number of sales calls I receive every week, the price consistently beats the competition hands down,” Louise commented. She added that the personable and professional approach that was taken by account manager Rob in convincing them to switch their service was also highly appreciated. Get in contact today and find out how you can save money on your fuel costs with Fuelcard Services.